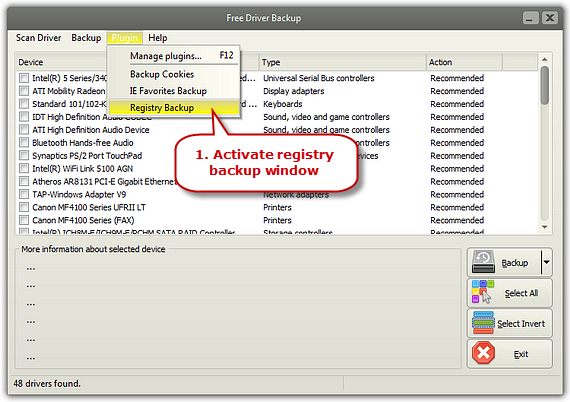 Launch Free Driver Backup and click “Plugin” to choose “Backup Registry” to activate the registry backup window. Click “Select a directory” to choose a folder for the registries. 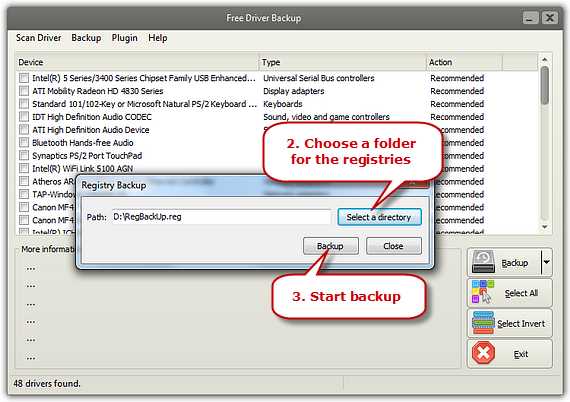 Click “Backup” to store the registries.